Former U.S. Rep. Zach Wamp will be the speaker at this year's First Amendment dinner hosted by the Jewish Federation of Greater Chattanooga. The annual event, started 11 years ago, aims to honor veterans and military personnel as well as inform the public on First Amendment rights. It will take place at 6 p.m. Aug. 28 at the Jewish Cultural Center, 5461 North Terrace Road. "It is increasingly important for the public to understand the importance of keeping the freedoms we have grown to enjoy and to respect those who serve our country in order to keep these freedoms," Executive Director Michael Dzik said in a news release. Tickets are $12 and veterans and active military get in free if reserved before Aug. 22. After Aug. 22, the cost is $14 for both veterans and nonveterans. Call 423-493-0270, rsvp@jewishchattanooga.com or visit www.jewishchattanooga.com. Jason Kander, president of Let America Vote, will be in Chattanooga on Aug. 29 to hear ideas from the Mayor's Youth Council on getting out the vote. Mayor Andy Berke and Kander, a former Missouri secretary of state, will hear ideas on boosting registration, turnout and engagement among first-time voters. "It's exciting to visit and hear from young people in Chattanooga about the ways they think are best to increase participation in elections," Kander said in a news release. Kander founded Let America Vote in 2017 to fight voter suppression. Berke serves on its national board. Berke called Kander "a great role model" for members of the youth council and added, "I'm thrilled he's coming to spend time with the council and impart some of his knowledge of organizing and engaging a community." The event is set for 5:30-7 p.m. at the Bessie Smith Cultural Center. 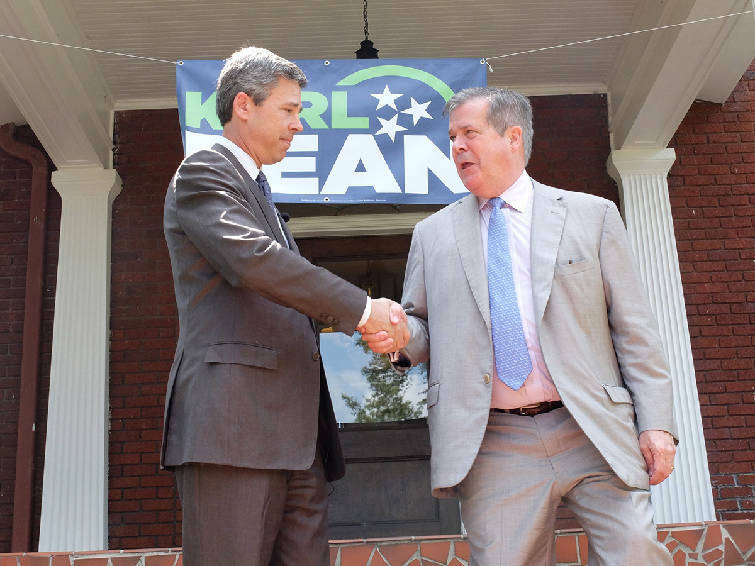 Chattanooga Mayor Andy Berke endorses Democratic gubernatorial nominee Karl Dean on Thursday in Fortwood. Chattanooga Mayor Andy Berke on Thursday held a news conference to endorse former Nashville mayor Karl Dean for Tennessee governor. "Karl Dean's bold ideas, thoughtful leadership, and common-sense approach to solving problems made him an outstanding two-term mayor of Nashville," Berke said in a statement. "As our next governor, I know that he'll work harder than anyone to provide more opportunities for more people in our state to get better educations and build better lives. Tennessee deserves a governor who will work for everyone, including the urban neighborhoods and rural communities that are too often forgotten by leaders on Capitol Hill. Karl has proven to us that he'll fight for Chattanoogans and our neighbors. I'm proud to endorse him today." Dean said he was honored to receive the support from Berke, saying he's "someone who knows firsthand what it takes to lead and how to focus on the issues that really matter." Dean will face Republican Bill Lee in the November election. He defeated state House Minority Leader Craig Fitzhugh, D-Ripley, in the Aug. 2 Democratic primary. An Oct. 31 trial date has been set for Hamilton County Commissioner Tim Boyd on a charge of extortion related to his primary campaign earlier this year. 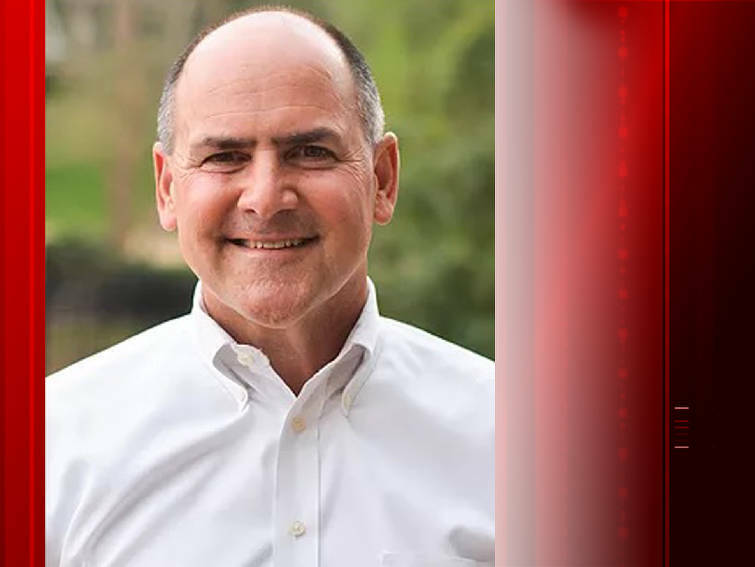 Boyd was indicted on a single count of extortion in April after his Republican primary opponent, Brent Lambert, played tapes of Boyd trying to persuade him to drop out of the District 8 race. Boyd told Lambert the voters would be upset to learn about political contributions he accepted from developers of Exit 1 in East Ridge. He said he wouldn't spread the information if Lambert dropped out of the race. Boyd's attorney called the statements protected political speech, not an extortion attempt. A nonprofit group, Tennessee Citizen Action, is filing a complaint with the Federal Election Commission alleging coordination between Republican Marsha Blackburn's U.S. Senate campaign and at least three political action committees, the group said in a news release. The complaint is based on FEC reports and remarks from Blackburn political consultant Ward Baker, according to the release. It is illegal for campaigns to coordinate with PACs. "The people of Tennessee deserve to know if the Blackburn campaign is using these outside groups to circumvent campaign finance law," Tennessee Citizen Action executive director Andy Spears said. The complaint notes Baker's comments about Club for Growth, Americans for Prosperity and the Senate Leadership Fund. Baker says he's a senior adviser to the Senate Leadership Fund and highlights the great relationship the Blackburn campaign has with Americans for Prosperity. The complaint alleges Baker's remarks "provide reason to believe groups including Club for Growth, AFP, and Senate Leadership Fund have made or intend to make in-kind contributions to the campaign in the form of 'coordinated communications.' This is a clear violation of [the Federal Election Campaign Act] and warrants an investigation by the FEC." The National Republican Senate Committee says Democratic U.S. Senate candidate Phil Bredesen is "trying to reverse decades of liberal positions on taxes and pull the wool over the eyes of Tennessee voters." A news release from spokesman Michael McAdams said Bredesen "has a long history of supporting higher taxes, raising taxes and fees on Tennesseans by $1 billion during his time as governor." Campaigning against Marsha Blackburn, a Donald Trump favorite in a state the president won by 26 points, "Bredesen is changing his tune, desperately claiming he now 'support(s) tax cuts that help the average Tennessean,'" the release states. McAdams called Bredesen "a tool of Chuck Schumer" and said "Tennesseans know they can't trust Phil Bredesen to protect their tax cuts." "Bredesen made his feelings about folks saving more money crystal clear when he called the extra cash making a difference in their lives 'crumbs' and voters won't forget that anytime soon."